Sift dry ingredients together in a large bowl and mix them until well combined. Slowly add the water and mix thoroughly, (don’t add too much)- it should be a very thick batter. Sprinkle the chicken with salt and douse into the batter, mixing thoroughly so each piece is well-covered. Drop into a preheated deep fryer and cook for about 20 minutes, until a nice golden brown. They will be white for a while before they turn brown and start to look like real chicken fingers. 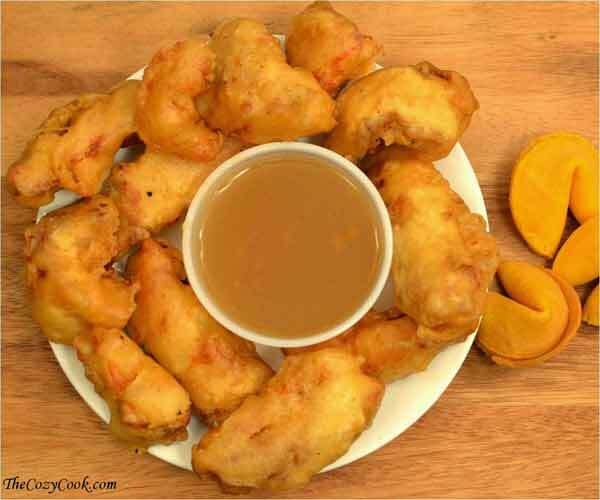 Serve with duck sauce, according to Yummy.com.ph.